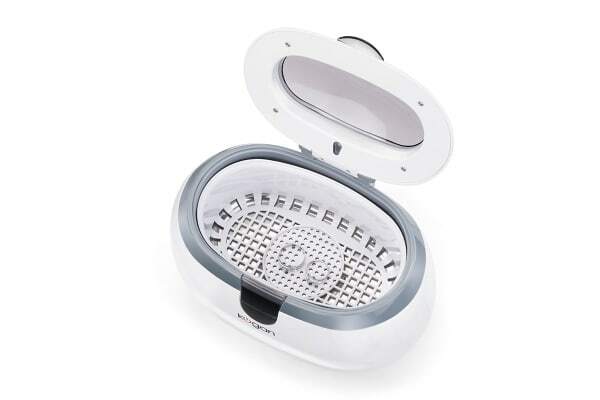 Clean your jewellery to a new sparkle with this Ultrasonic Jewellery Cleaner! Great for jewellery, glasses, watch bands, coins and more! Your precious jewellery can lose sparkle either because of grime or due to the effects of pollution. 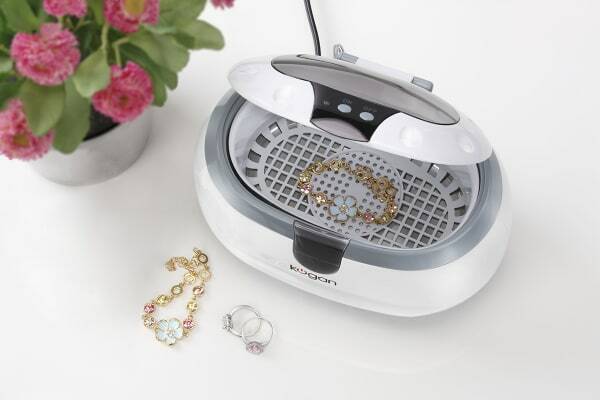 Now, you can keep your jewellery looking brand new always with the Kogan Ultrasonic Jewellery Cleaner. Old methods used chemicals or excess scrubbing to clean out the grime, but that would often damage precious jewellery. Thanks to new technology, this Ultrasonic Jewellery Cleaner uses only tap water and ultrasonic waves to achieve professional-grade cleaning. Being very easy to use, you can clean your jewellery right at home! Simply add tap water to the tank and switch the cleaner on. 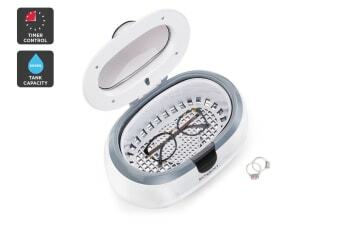 The machine emits ultrasonic waves which create microscopic bubbles that gently wash away the dust and grime. This process is effective in giving a thorough cleaning to even the most hard-to-access parts of your jewellery. This innovative device lets you monitor the cleaning process through the transparent cover and when the job is done, it alerts you with its automatic 3-minute timer. It’s compact and portable and can be used either at home or professionally in the jewellery business. Always refer to the manufacturer’s instructions when cleaning jewellery. Not all jewellery is suitable for this type of cleaning. Always inspect items for damage or loose fittings. Do not use if any damage is visible. Take particular care when cleaning watches. Watch head mechanisms are not widely recommended for this type of cleaning. If cleaning whole watches, always refer to the manufacturer’s instructions. Stones unsuitable for ultrasonic cleaning: certain emeralds, onyx, opal, tanzanite, lapis lazuli and turquoise, pearl, heat treated stones, amber and coral. Works very well, cleans like new. It works very well, great price and quick delivery.